Other information: Good with other cats and children. Wolfgang (also known as Wolfie) and his siblings were just days old when they were discovered, hungry and cold, under the porch of a local business. With no mama in sight, Regina Cat Rescue was contacted for help and fortunately an experienced bottle feeder was available to take them in and care for them. 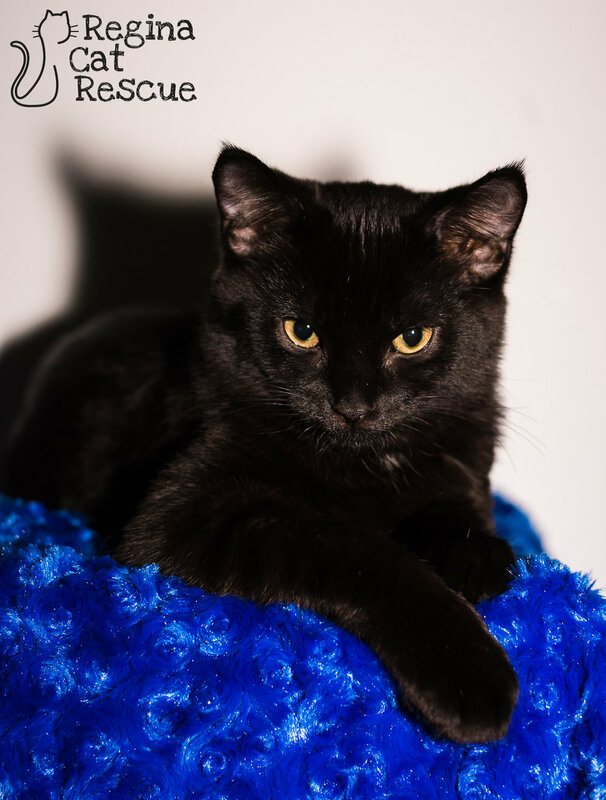 Wolfie is sweet and social kitten who is the "Walmart Greeter" of his foster home. He loves to meet everyone and will go from room to room to say hello to any guests. He's also super loving and gives big snuggles when he is tired. He loves kisses, face rubs and soft furry blankets. Wolfie enjoys playing too but is never too rough with his teeth or paws. He gets along great with other cats and would do great in family with another cat or two. 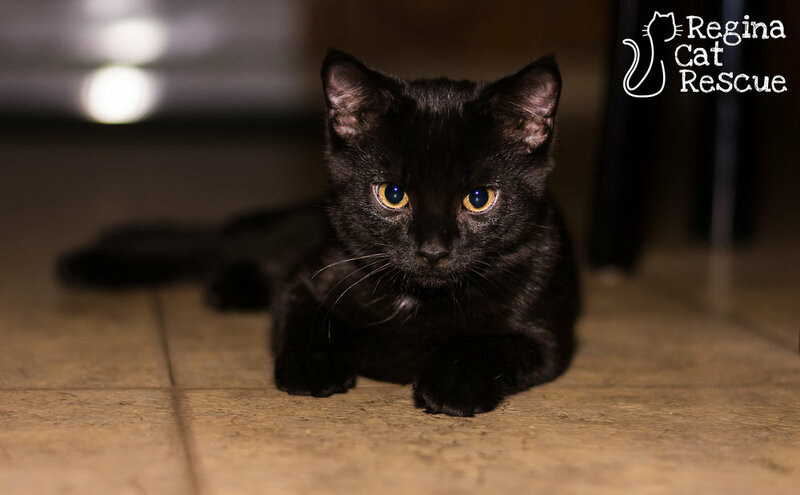 If you're looking for an all-around great kitten, look no further than this super sweet boy! If you are interested in Wolfie, click here to view our adoption contract and click here to complete an adoption application or email the RCR Adoption Coordinator at rcradoptions@gmail.com for more info.